Discussion in 'The ORB - News & Rumors' started by Toku Prime, Feb 10, 2019. If you have seen any season of Sentai, then you have seen this man's work! 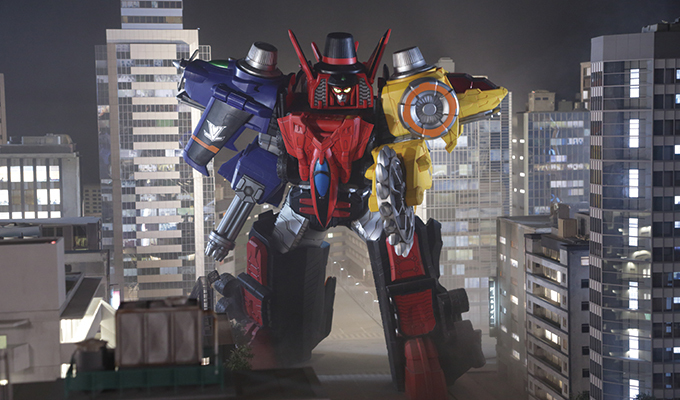 Hideaki Kusaka's first suit acting role was in Denjiman portraying their giant robot DaiDenjin. Since then he has played at least one robot (usually the main one) in Every. Single. Season! He also branched out into performing villainous leaders (such as Emperor Zeba from Maskman) or their generals (such as Grey from Jetman). Later on he further branched out into allied warriors (like Ninjaman) before being the main suit actor for numerous rangers - Mega Silver, GoBlue, Time Yellow, Gao Black, Kabuto Raiger, AbareBlack, Deka Master (including playing Doggie untransformed), Wolzard and Bouken Silver. After that he mostly returned to robots and villains, only occasionally stepping in to play Aka Red in Gokaiger, Kyoryu Grey and Ryu Commander (including Shou's untransformed suit). However, it's been announced that after playing both Lupin Kaiser and Pat Kaiser for the last year he has decided to retire, and the final episode of LuPat is also his final performance. Here's wishing him a very happy and well-deserved retirement after all these years of entertaining us. He had a good long run, I wish him a happy retirement. *Applauds* Thank you, Hideaki Kusaka. May your retirement treat you well. You deserve it. Japan knows what retirement is? Thank you "Hideaki Kusaka", your hard work and performances will be captured in the anals of Tokusatsu history for all to enjoy FOREVER!